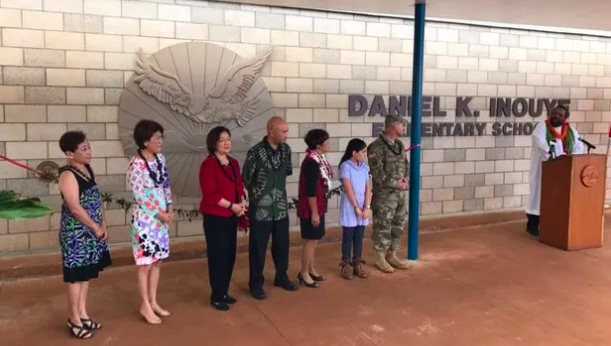 Daniel K. Inouye Elementary School is located on the Schofield Barracks Army Installation. Built in 1959, the school is one of ten schools (seven elementary, two middle, and one high school) in the Leilehua Complex, and we serve students from special education pre-school through fifth grade. Curriculum, instruction, and assessment are aligned with the Common Core State Standards for English Language Arts and Mathematics, the Next Generation Science Standards, and the Hawaiʻi Content and Performance Standards for all other content areas. Our Early Childhood Special Education Preschool aligns their work with the Hawaiʻi Early Learning and Development Standards. We emphasize and value critical thinking, collaboration, creativity, communication, and the application of all things learned over rote memorization. Many opportunities are available for parents and the community to become involved in school activities. The Parent Community Networking Center coordinator recruits volunteers for classroom and school activities, parent education workshops are planned regularly, and the school Parent Teacher Organization supports the school through its many family-based activities and grants to grade levels and staff members. We are grateful for our strong partnerships with the HHBN 25th ID as well as Tripler Army Medical Center. 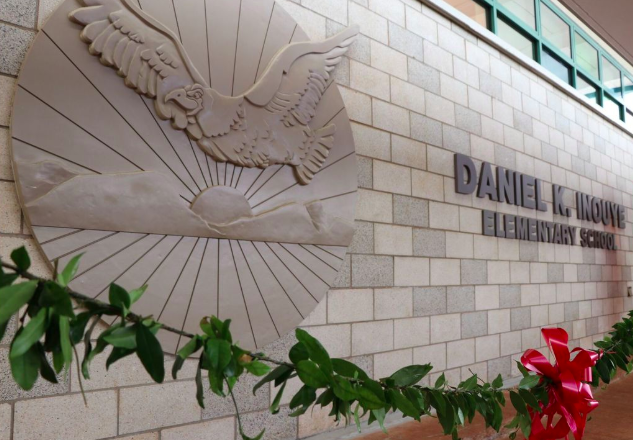 On April 19, 2016 The Hawaii State Board of Education approved the renaming of Hale Kula Elementary School to Daniel K. Inouye Elementary School. 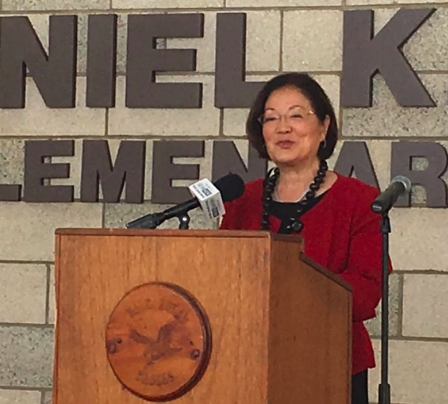 "Senator Inouye's commitment to Hawaii's public schools throughout his career continues to benefit thousands of students, from securing federal resources to advocating for military families," said Superintendent Kathryn Matayoshi. "The late Senator's legacy lives on and naming this school in his honor is fitting for all he's done for Hawaii and the service to his country." 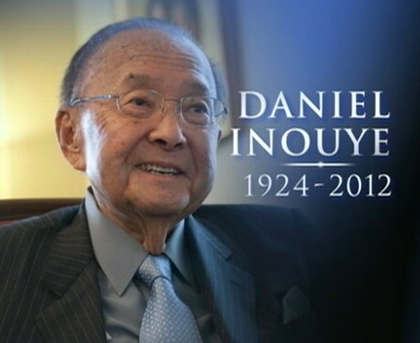 "I think this school is very representative of the commitment that Senator Inouye had. Particularly, combining support for our military dependents children, and this school being on a military facility, and his support for education and how foundational education is. 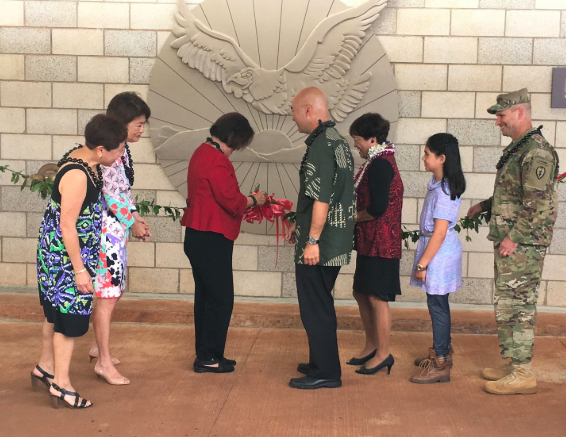 - Senator Mazie Hirono at the dedication ceremony on October 17, 2016. 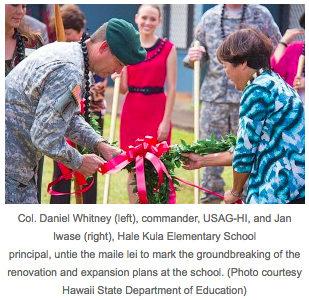 Since 1959, Hale Kula Elementary taught Army children who resided on Schofield Barracks. Schofield housed the legendary 442nd Regimental Combat team, the unit in which Senator Daniel Inouye served during World War II. A 2011 assessment ranked Hale Kula ninth on a list of 160 reviewed schools eligible to apply for a piece of a $250 million DOD Office of Economic Adjustment grant. 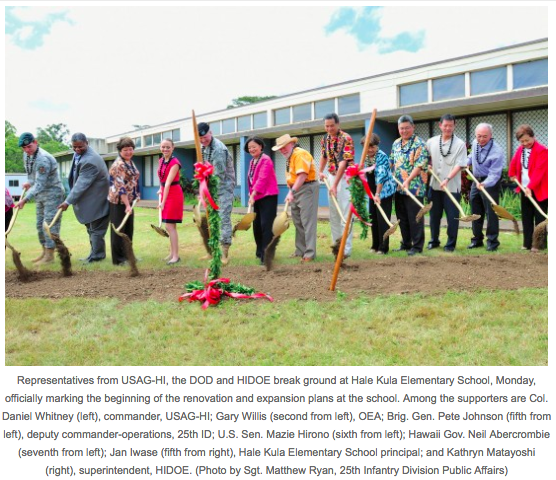 In March 2013, the DOD awarded Hale Kula $26.6 million in funds, with another $6.6 million provided by HIDOE, to go toward construction, renovation, repair or expansion of current facilities. The school received a new administration building, a new two-story classroom building, a new student center and library-media center, additional classrooms, and renovation of existing classrooms. 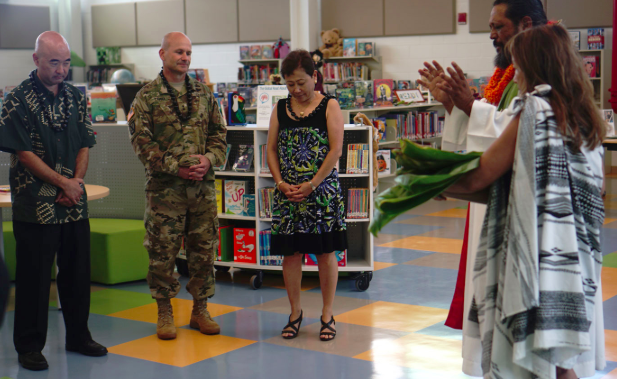 As Chair of the Senate Defense Appropriations Subcommittee, Senator Inouye played an integral role in getting funding to support this type of facility repairs for schools which serve military children. 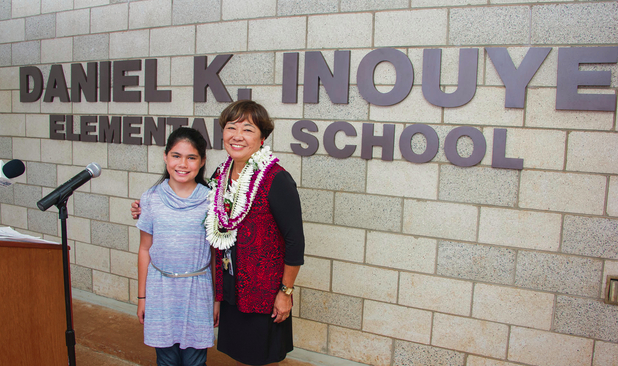 The senator’s family donated several items to the school which are featured for students and visitors to see, including Senator Inouye’s Purple Heart, photos and military coins he earned in the military as given while a lawmaker.